After a car accident, do I have to use the repair shop that the insurance company sends me to? Where should I have my car towed after a car accident? 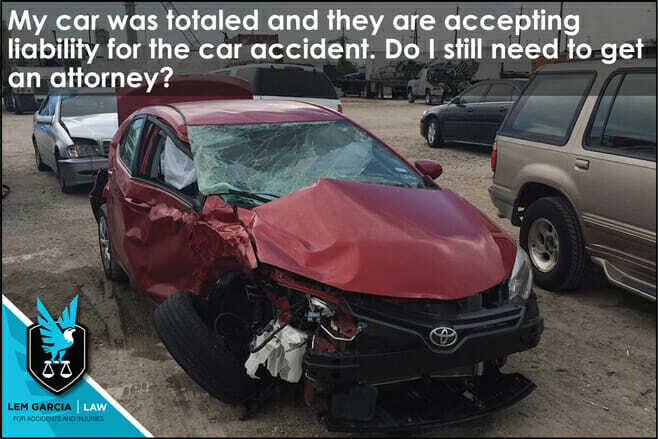 My car was totaled and they are accepting liability for the car accident. Do I still need an attorney? Even though a car accident is clearly the other party’s fault and you were hit very hard, we highly recommend that you at least speak to an attorney to review your case. Most personal injury attorneys provide free case consultations for people who have been injured in car accidents and are happy to provide you with free legal information and advice about your case. We recommend that you speak to an attorney about your car accident because you want to make sure that the insurance company does not take advantage of you. Whether you are dealing with your own insurance company or the other party’s insurance company, you do not have someone who is looking out for your own interests. The only concern insurance companies have is reducing the value of your claim and/or paying you out as little as possible. An attorney has a duty to do what is in your best interests. An attorney will assess everything about your case for you and tell you what is the best thing for you to do. Even though your case might seem like an easy case to handle on your own, there are many pitfalls that you need to avoid to make sure you get the full value for your case. Even though the insurance company has accepted liability, they have not accepted your claim for damages. There is a good chance that the insurance company will argue with you about the extent of your injury. If you do not have the right evidence to prove your injury, the insurance company will not pay you what you believe your claim is worth. Furthermore, the insurance company does not have to disclose how much coverage their insured carries. These are just a few things that the insurance company will argue with you about. It is in your best interest to find an attorney that you like and trust to review your case with you. There is usually no cost to have an attorney review your case and there should not be any obligation. You have nothing to lose other than your time to consult with the attorney, which will be well worth it. West Covina car accident lawyer, Lem Garcia, provides free, no obligations consultations for people who have been injured in car accidents. Gain your peace of mind and schedule your consultation today.